Virgin Mobile unleashed one of the best SIM-only deals we'd ever seen in the days leading up to Black Friday this year. As such, we were pretty gutted when Virgin Mobile's limited time offer finally expired. Thankfully, the mobile carrier has launched a similarly awesome SIM-only deal ahead of Christmas that's perfect for anyone itching to get more mobile data ahead of the inevitably arduous train journeys to visit family and friends over the festive period. 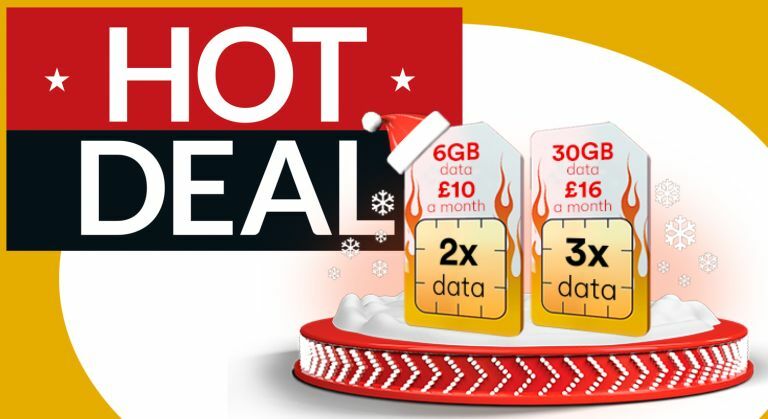 There are quite a few festive deals up for grabs, but the one that saw our jaw hit the floor was this 30GB of data SIM-only for just £16 a month. That's ridiculously cheap given the serious amount of 4G data on offer here, and no other mobile network is even close to matching that price at the moment. £16 a month is a stunningly low price for this SIM-only deal when you consider the sheer amount of data you're getting. 30GB should be more than enough, even for the most ardent music and video streamers. If that seems like an excessive amount of data, don't worry – Virgin Mobile has also doubled the amount of data included with its 3GB tariff. That means you'll now get a sizeable 6GB of mobile data in the £10 a month plan. And if you're worried the 30GB tariff doesn't seem like enough mobile data to cater for your music and video streaming on-the-go, Virgin Mobile has you covered, too. The network is offering up an unlimited data plan for just £25 a month. That's right – unlimited superfast 4G data. Unfortunately, this one is only available to existing Virgin Media broadband or Virgin TV customers. Virgin Mobile has a few other tricks up its sleeve to tempt you to its SIM-only deals, too. For example, Virgin lets you set a spending cap to avoid paying any more than your monthly allowance. You'll also enjoy access to Virgin Media's network of 3.5 million public Wi-Fi hotspots around the UK, including across the London Underground network. Virgin Mobile also includes data rollover with all of its SIM-only contracts, so you can keep any unused data for the following month. If any of these deals take your fancy, you should add them to your basket fast. Virgin Mobile is only offering its current discounts until December 19, 2018.